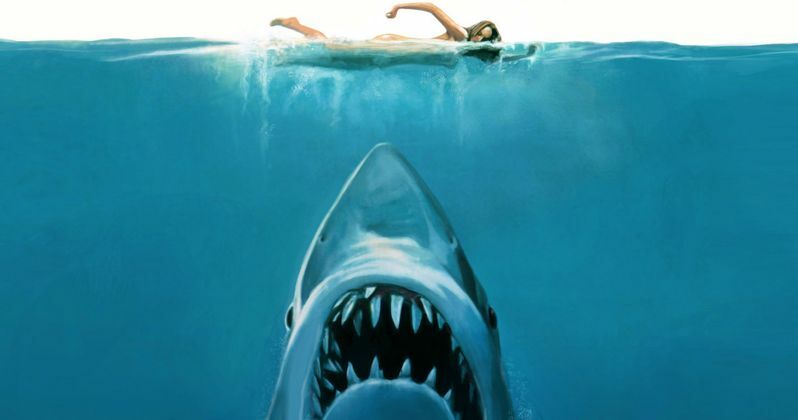 You're gonna need a bigger boat this June when TCM Presents: Jaws 40th Anniversary comes to select U.S. cinemas, presented by Fathom Events, Turner Classic Movies (TCM) and Universal Pictures Home Entertainment. Originally released in 1975 and celebrating its 40th anniversary, this action-packed event will screen at 2:00 p.m. and 7:00 p.m. on both Sunday, June 21 and Wednesday, June 24 for a second showing. In addition to the feature, audiences will be treated to a special introduction by TCM host Ben Mankiewicz. Tickets for the TCM Presents: Jaws 40th Anniversary can be purchased online by visiting FathomEvents.com, or at participating theater box offices. Fans throughout the U.S. will be able to enjoy the event in nearly 500 movie theaters through Fathom's Digital Broadcast Network. For a complete list of theater locations visit the Fathom Events website (theaters and participants are subject to change). Here's what Fathom Events Vice President of Programming Kymberli Frueh-Owens had to say in a statement. "Jaws is a classic thriller enjoyed by generations and it is ready for a comeback. Movie buffs will love seeing their favorite killer shark larger than life on the big screen. No risk of shark bite!" It's a hot summer on Amity Island-a small community whose main business is its beaches. When new Sheriff Martin Brody discovers the remains of a shark attack victim, his first inclination is to close the beaches to swimmers. This doesn't sit well with Mayor Larry Vaughn and several of the local businessmen. Brody backs down and that weekend a young boy is killed by the predator. The dead boy's mother puts out a bounty on the shark and Amity is soon swamped with amateur hunters and fisherman hoping to cash in on the reward. A local fisherman with much experience hunting sharks, Quint, offers to hunt down the creature for a hefty fee. Soon Quint, Brody and Matt Hooper from the Oceanographic Institute are at sea hunting the Great White shark. As Brody succinctly surmises after their first encounter with the creature, they're going to need a bigger boat.